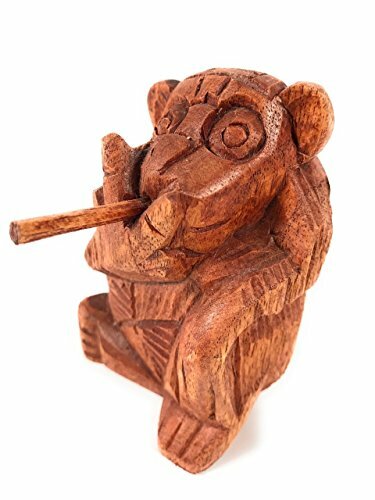 Here is a hand carved monkey smoking his favorite cigar! Smoking or not smoking that is the question! Hand carved monkey Size: 4.5" X 3" Great conversation piece Very popular gift idea Bad monkey to the bone! Bad monkey to the bone!